Teaming with Sheldon will be Mark Wheeler, another major standout over the last 12 months in C*4. 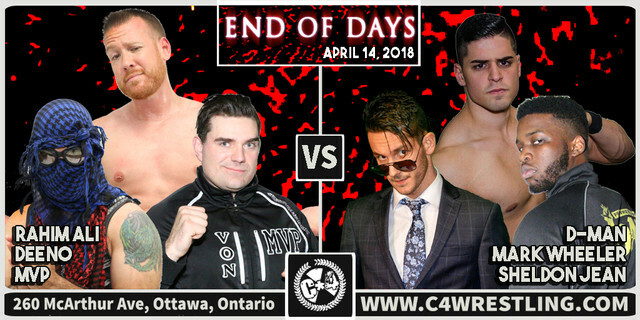 And teaming with them, making his Ottawa return for the first time in almost two years, a young man who has been turning heads in Championship Wrestling from Hollywood, “D-Man” Daniel Parker! ← #C4EndOfDays – Another possible show-stealer signed!